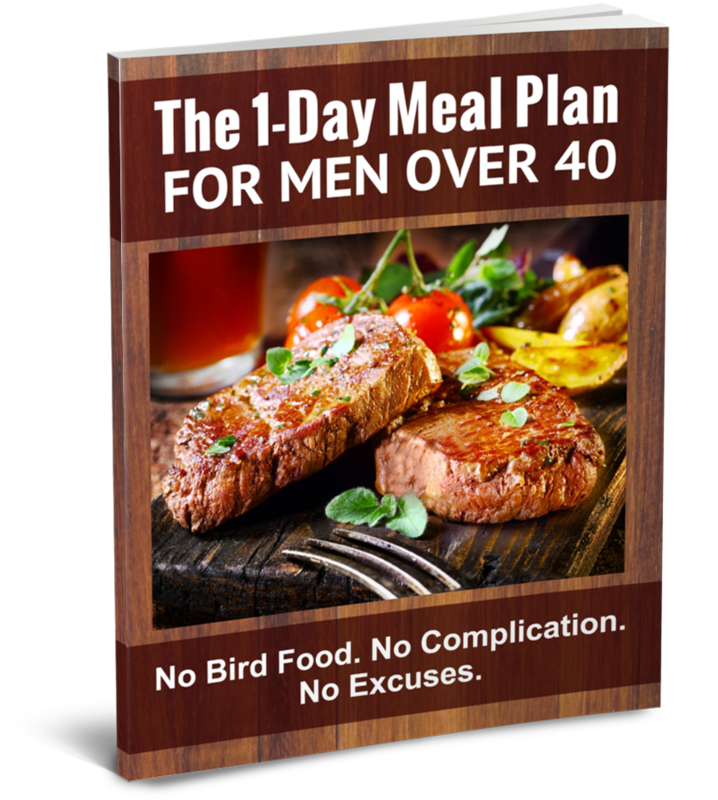 Are you a busy guy over 40 hoping to slim down? Congratulations! You have finally found the proven 10-step guide covering the #1 most effective weight loss diet for men that will help you finally see results. To help you start seeing weight loss results, I shot a detailed video covering the most essential elements of the most effective weight loss diet for men. I also wrote out the key action steps in an article below. 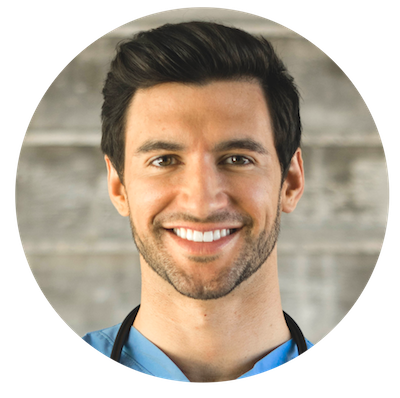 Throughout my career as a men's health doctor, I've worked with countless guys like you who want to lose weight but struggle to find the time. The secret to your success lies in learning & applying these 10 principles of the best weight loss diet for men that we'll cover in the rest of this guide. Here's a hint: any diet that severely restricts calories, proteins, carbs, or fat will not work for you longterm. Restrictive diets leave you with cravings. No more carbs? You'll be craving cereal and bread like you never have before. No more fat? Get ready to crave avocado and meat. To discover the balanced, healthy diet approach to losing weight, “download our Free Fit Father 1-Day Weight Loss Meal Plan” that shows you how to lose weight consistently each week – without restrictive dieting. Weight Loss Diet for Men Principle #2 – Use Our “Perfect Plates” System To Control Your Portions Instead Of Counting Calories. The best part about using “Perfect Plates” in your weight loss diet? You're not locked into eating the same meal every day. 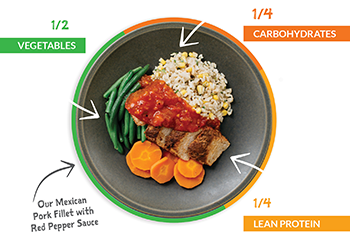 The concept of “Perfect Plates” allows you to switch up your proteins, vegetables and carbs as much as you want. The key of “Perfect Plates” is in the proportions. One-half of your plate should be vegetables, one-quarter should be meat or plant-based proteins, and the last quarter should be a carb like rice or quinoa. With “Perfect Plates,” you don't have to count your calories to lose weight. All you have to do is choose the healthy foods you want on your plate and set up the proportions correctly. The weight loss takes care of itself. Get a list of the best Perfect Plates for weight loss here.. Weight Loss Diet for Men Principle #3 – Use Our 4 x 4 Eating System To Make Meals Easy! Many diets encourage you to eat 6 small meals throughout the day. But who has time for that much meal prep?! Instead of dedicating your entire day to food, all you have to do is make 4 “Perfect Plates” a day and eat them 4 hours apart. Not everyone's schedule allows for a strict 4-hour eating policy, and that's okay. Eating 4 hours apart is just the optimal amount of time to digest, maintaining stable blood sugar, burning fat, and eating the right amount of calories. There is a perfect recipe for an energizing and fat-burning breakfast. But guess what– orange juice and toast are not on the list! The perfect breakfast breaks the “Perfect Plate” rule because it exempts carbs. The reason for this is a little scientific. Our hormone levels are different when we wake up than they are the rest of the day. In particular, fat-burning hormones are highest in the morning. We have a special opportunity to get ahead of fat burning with our first meal of the day. To take full advantage of our breakfast, we need to cut carbs, eat good fats and HYDRATE. Drinking water first thing in the morning makes sure you keep a consistent level of energy and fat burning all day long. Click below for complete recipes for the perfect weight loss breakfast. Luckily, there's an easy answer to that. If you choose 3 go-to foods for each of the 3 key categories (protein, fat and carbs), you will never run out of things to eat! You have plenty of delicious choices. For example, steak, chicken, and eggs could be your 3 go-to protein foods. Oatmeal, rice, and fruit could be your 3 go-to carbs. Avocado, nuts and olive oil could be your 3 go-to fats. The best way to manage this weight loss diet is to purchase and prep your 3 go-to foods for each category in bulk. Weight Loss Diet for Men Principle #6 – PLAN A “Free Meal,” Once Every Week. Being on a weight loss diet does not mean that you can't eat out with your family or eat a slice of cake on your son's birthday. The beauty of the Fit Father Weight Loss Approach is that it's meant for working fathers who have a busy schedule! With this best loss diet for men strategy, you're given one meal per week to let loose, eat food with your friends and family, and simply enjoy life. There is a strategy behind your free meal, too. Ideally, you should plan your workout before your free meal so that your body can process the calories properly. For more information on how the Fit Father Project molds to your life as an active dad, check out our Fit Father 30X Program. Water– and lots of it– is essential to your body when trying to burn fat. The benefits of drinking the proper amount of water exceed just fat burning, though. Water keeps you full throughout the day, supports your metabolism, prevents headaches and keeps your energy levels high. What is the proper amount of water? Men need from 100 to 150 ounces of water EVERY DAY. It can be hard to remember to drink all the water you need. The best way is to fill up a large water bottle and carry it with you all day. For those of you who don't like plain water, try flavoring it with lemon, lime or even drinking herbal tea. After you exercise, your body is in the best possible position to organize calories. Nutrient partitioning is the art of your body putting calories into good places– like muscle cells– instead of bad places– like fat cells. This is important to know because you can plan your biggest meal around the day after a workout to gain the most benefit. If you work out in the morning, it's best to eat breakfast after you work out to allow your body to place all those nutrients in the right spots. Similarly, you should eat dinner after you work out if you exercise in the evening. What's even smarter is to sync up your free meal with a workout. If you're already planning on a pizza night with the family, work out beforehand, so all of those (many) calories get put in the right spots. Check out our #1 recommended fat burning workout for men over 40 here. Weight Loss Diet for Men Principle #9 – Track Your Results And Adjust As You Go. The scale is not your enemy. It's actually your best feedback tool. There's no point in dieting if you're not checking your progress. After all, progress is what all of this is about! Weighing yourself is the only way to know if the meal plan is working for you. In order to keep track, you should weigh yourself daily, or at least twice a week. When you're weighing yourself, you should be checking to see if your weight loss plateaus. If this happens, don't panic! Plateauing weight loss means that you're ready to scale carbs, tighten portions and increase your veggies and proteins. Weight Loss Diet for Men Principle #10 – Eat Cholesterol To Increase Testosterone. Yes, you read that right. We're recommending that you eat more cholesterol. Cholesterol is a key nutrient that guys over 40 NEED to staying healthy. It's the backbone of testosterone, a key part of a healthy immune system and necessary energy source. Most guys think of cholesterol as something BAD that they should avoid. It actually turns out that the RIGHT KINDS of cholesterol can really improve your heart health and hormone levels. To learn more about the WORST Cholesterol Myths, read this. While you shouldn't make fatty steaks and meat a habit in your diet, you should include one egg in your morning routine. You can put a raw egg into a shake or cook an egg as part of your low-carb breakfast. Either way, they are an eggcellent way to give your body the cholesterol it actually needs. If all of this food talk is making you hungry, I've good news. Below, you'll find the exact recipes you should use for breakfast, lunch, and dinner. The best breakfasts are ones you wake up excited to eat. Try these recipes to get you off on the right foot. To prepare, all you have to do is mix all the ingredients in a blender, adding more water as needed. When you've reached the middle of the day, all you want is to fill up on some carbs. But there's no way you can eat a sandwich on a diet… right? WRONG! Our recipe for the Ezekiel Bread “Manwich” is a balanced sandwich that will keep you going for the second half of the day. It's time to end the day with another savory, healthy meal. All of our recipes are great for your whole family, so you can always share this time with your loved ones. 1. Slice your steak into 1 to 1.5 inch strips. Place the steak in a big skillet. You want to position the steak in a single layer with the pieces close together. 2. Begin heating the skillet to medium-high heat. While the skillet is heating, add the following: 1/2 tablespoon of virgin coconut oil, 1/4 cup water, and 1 tsp of salt. Cover the skillet and bring the water to a simmer. Let the steak cook, until your desired level of firmness. 3. Once the steak is cooked, remove from the pan. With the juices still in the pan, add the following to the pan: sliced peppers, sliced onion, salt, pepper, and 1 tablespoon extra olive oil. 4. Sauté the vegetables for 3-5 minutes. Add the steak back into the skillet, and serve 7oz of the meat with 3/4 cup brown rice. Now that you've gotten a crash course on the best weight loss diet for men, there's nothing left to do but begin. Thousands of fathers have tried and succeeded at the Fit Father 30X Program, and it's time for you to take charge of your life. 1) Download your FREE Copy of our 1-Day Meal Plan and join over 27,000 fathers who get our Free Newsletter. 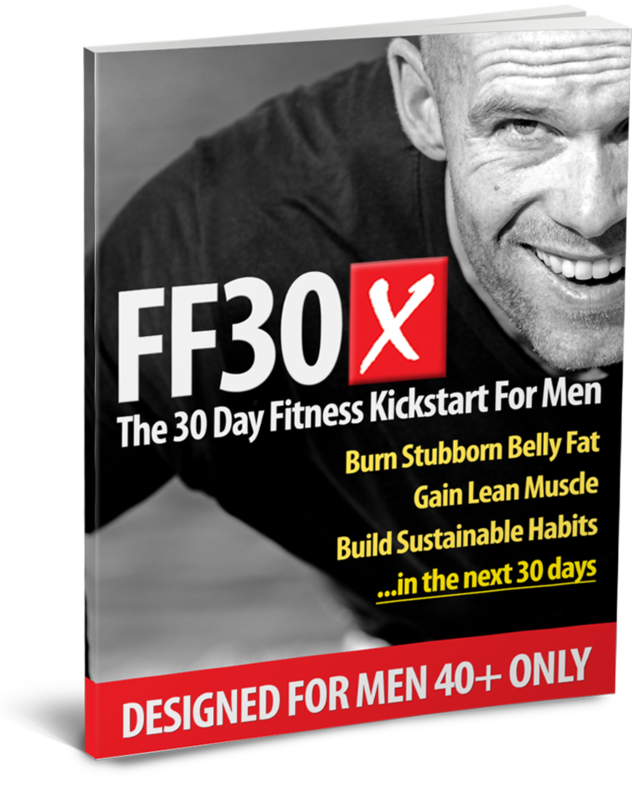 2) For the fastest results on a proven weight loss program designed exclusively for busy fathers over 40, check out our Fit Father 30-Day Program (FF30X). Welcome to the Fit Father Project, my friend! *Always remember: weight loss results & health changes/improvements vary from individual to individual. Just because these studies cite certain data does not mean you will experience these results/outcomes. Always consult with your doctor before making decisions about your health. This is not medical advice – simply well-researched information about the best weight loss diet for men. Thanks for reading! Nutrition Tip #1 – What are Carbohydrates?